Doug Hollowell was born and raised in Olive Branch, Mississippi, graduating from Olive Branch High School. Doug attended the University of Mississippi, earning a Bachelor of Arts before leaving to attend the University of Miami School of Law in Coral Gables, Florida. Doug earned his J.D. from the University of Miami and returned to DeSoto County to take the bar exam and practice law. 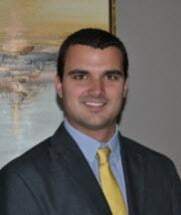 Doug interned two years with the District Attorney's Office for the Third Circuit Court of Mississippi, focusing mainly on felony drug cases. During his time with the Third Circuit District Attorney's Office, Doug covered the counties of Benton, Calhoun, Chickasaw, Lafayette, Marshall, Tippah, and Union. Currently, Doug is a member of the Mississippi Bar Association, the Lafayette County Bar Association, the Tri-County Bar Association, the Mississippi Defense Lawyers' Association, and is a founding member of the American Association of Premier DUI Attorneys.